The forum for puffers that either live or start in brackish biotopes: GSPs, F8s, Ceylons & more. 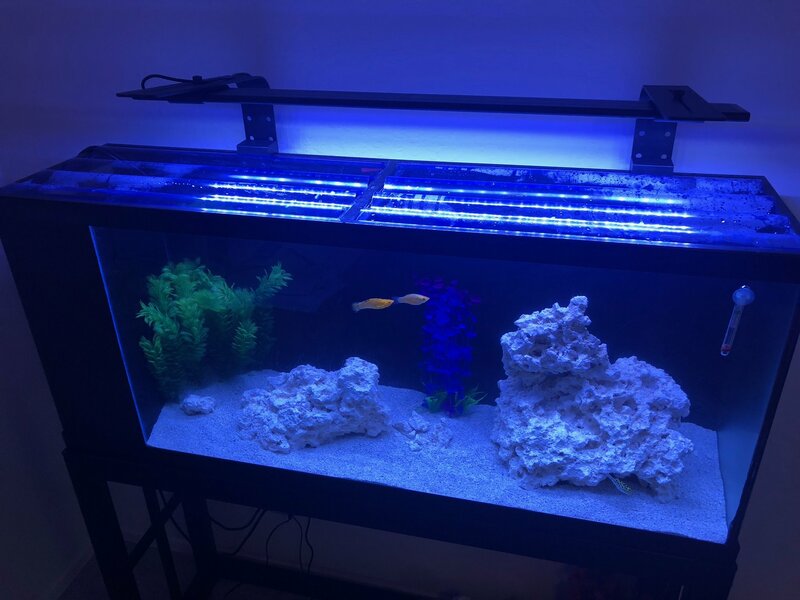 I just setup my first puffer tank. 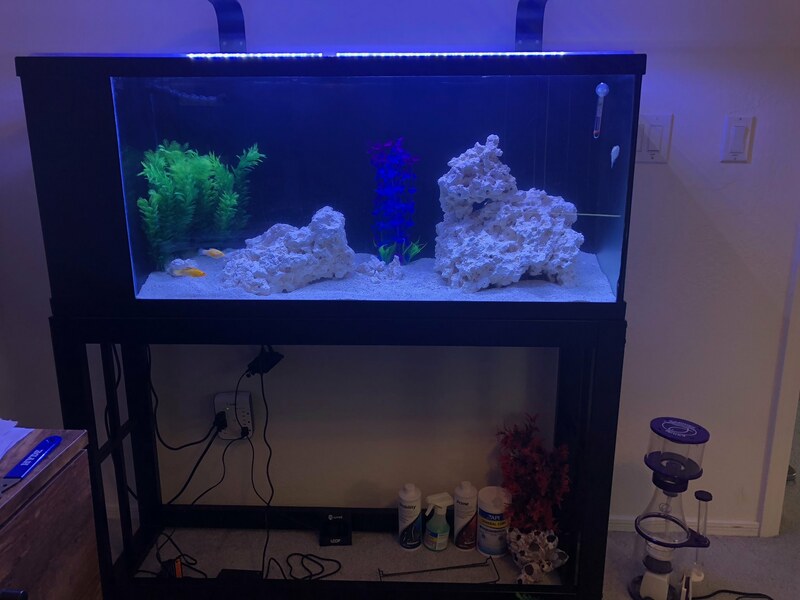 I got this scratched up 55 gallon tank off craigslist for next to nothing and built a small sump into the side of it. 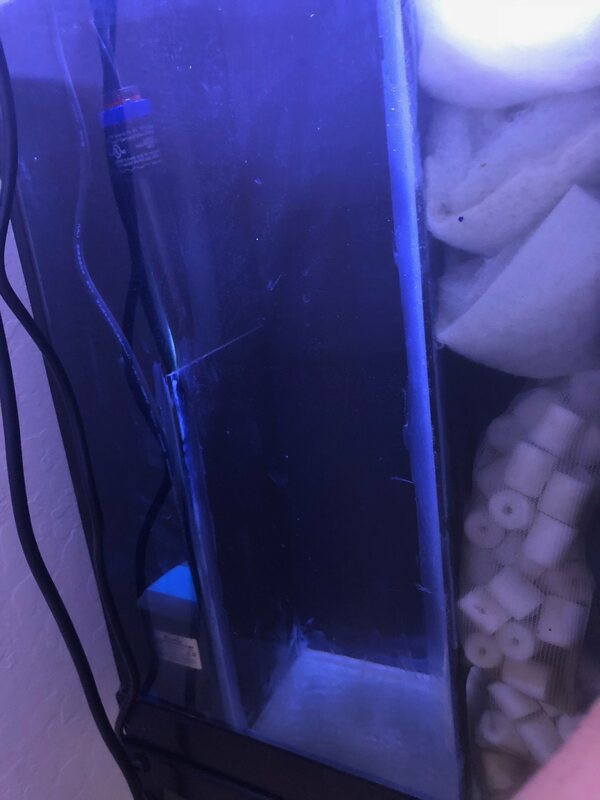 The design was apparently flawed as I wanted to keep different water levels in there for the future protein skimmer but the flow from column one into column two is too fast and its all almost the same water level. So now the protein skimmer will stick up out of the top. The back and front of the sump section are spray painted black and I cut cheap green house roof lids for the top. I didnt want to spend a whole lot on this tank. The stand was a really cheap one on ebay. 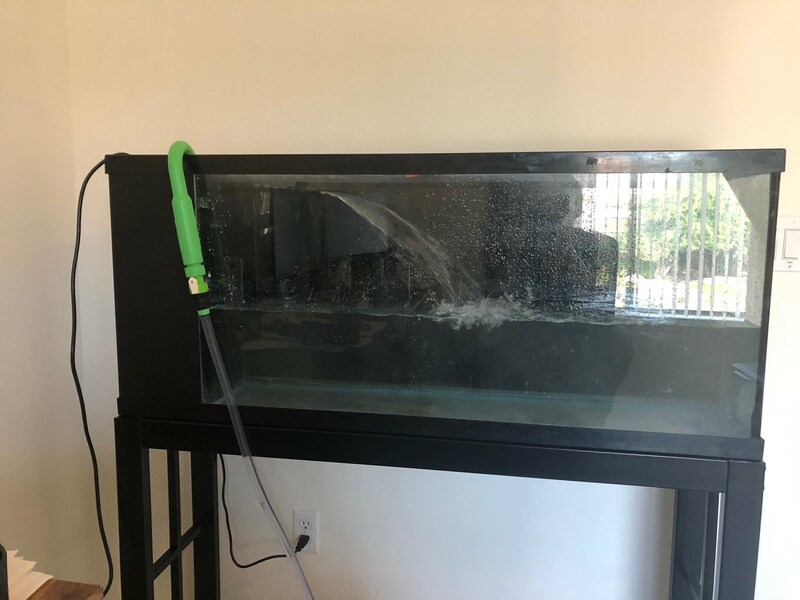 I plan on removing a lot of that filter floss, it was all jammed in there to clear the dust from the crushed coral out of the water. Great work on the tank! LOL, you should call it the "Frugal Tank Build". How did you cycle it? To cycle it I had a ton of media sitting in my african cichlid tank. Also another interesting story for this tank, the night I put the mollies in, one of the females started having babies. 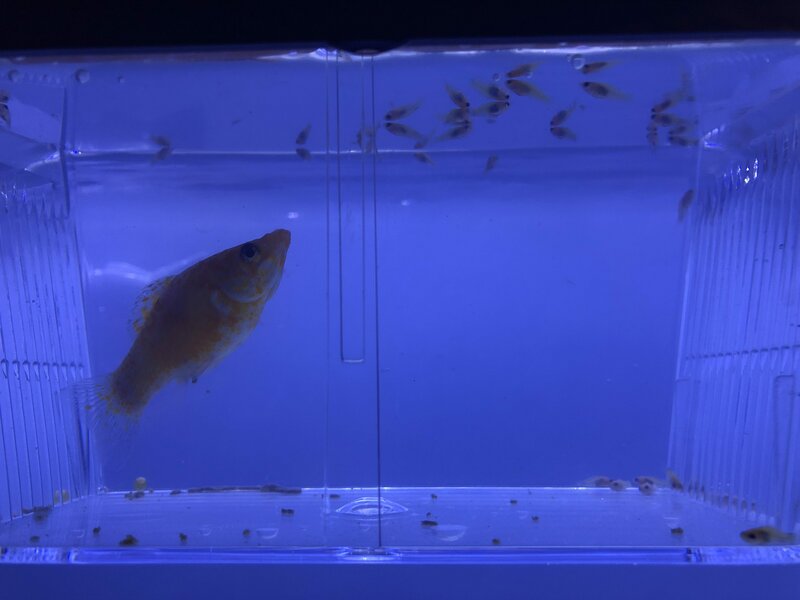 I was able to get her in the breeder box before the puffer ate them all but he must have had at least six mollie babies for dinner the other night. I had another black molly in there that was huge but the puffer was picking on her so she was moved to my community tank. For some reason he doesn't care about the orange sailfins. 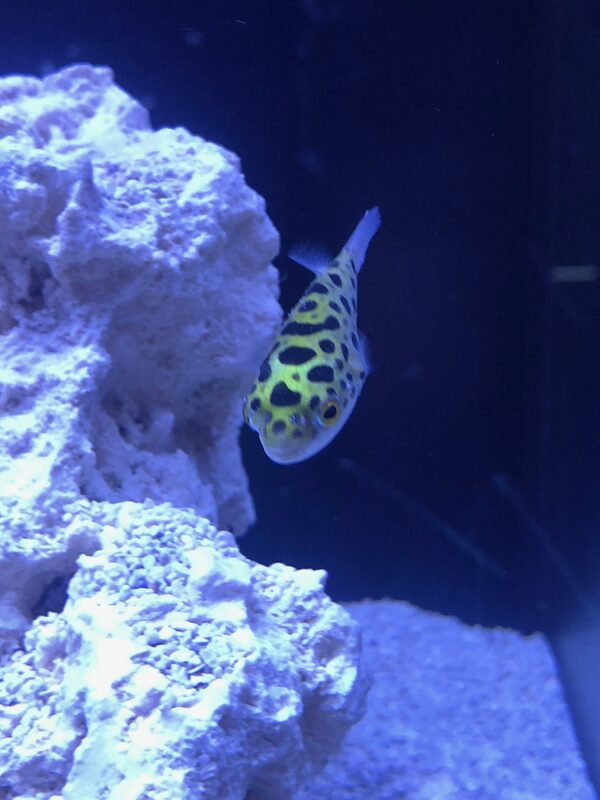 Puffertini is now in 1.018 Salinity and is doing really well. 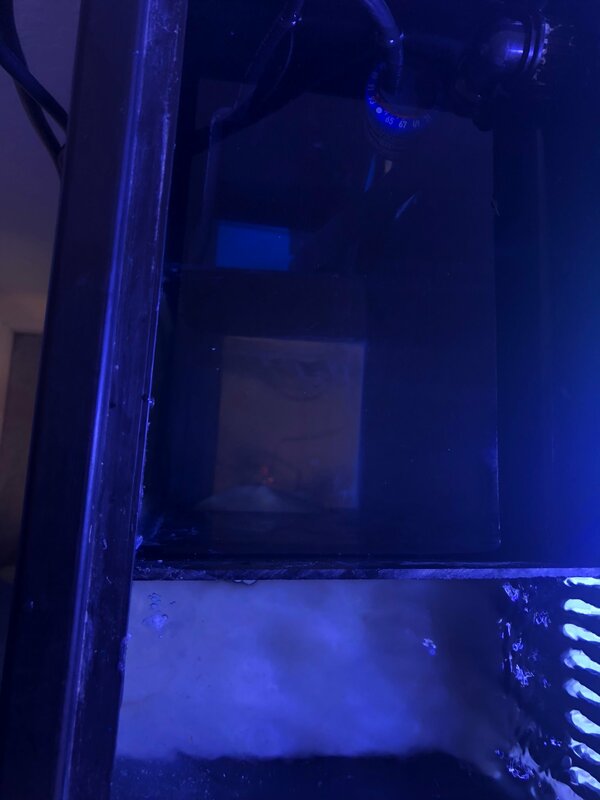 The protein skimmer is starting to work and he soon might try some new friends in the form of damselfish. I added about 12 nerite snails and I think almost all of them have survived his wrath so far. Weird thing is he doesn't like frozen or freeze dried krill, not sure why. He will crunch on it but then spits it out. Everything else though he devours in seconds. I have been feeding him mostly frozen blood worms and mysis shrimp and ramshorn or baby mystery snails. The snails he's not super crazy about but he will eat them. I am worried he isn't getting enough of his vitamins though. Is there any particular frozen food you can recommend as a staple, market prawns maybe? I was thinking of getting those and soaking them in vitachem. Did you read that article? I did, I was just wondering if you had any personal opinions on what you like best.